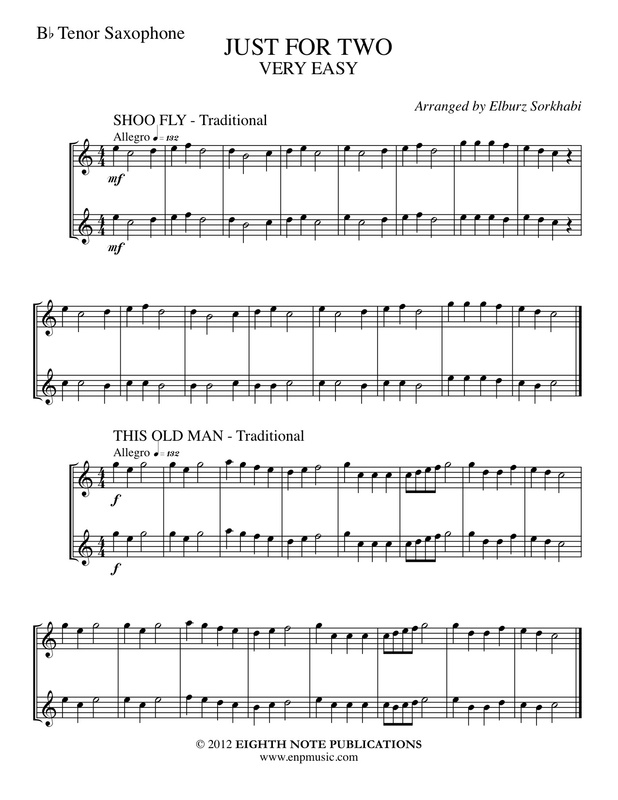 This is a collection of over 20 short arrangements of well-loved children�s pieces, classical works and folksongs that are ideal for beginner musicians. Students in the first year of playing can enjoy the fun of playing duets with a like instrument or even a friend on another instrument. Pieces include: Shoo Fly, This Old Man, Ode to Joy, Dreydl, Aura Lee, Au Claire de la Lune, Jingle Bells, Hot Cross Buns, Surprise Symphony, Polly Wolly Doodle, Mary Ann, Old McDonald, Yankee Doodle, Frere Jacques, London Bridge, Snake Charmer, Jolly Old St Nicholas, Aloha!, Twinkle Twinkle, Sea Chantey, Row Your Boat and Chopsticks.